With Rwanda's efforts in Gender Promotion commended Worldwide, the Private Sector is being urged to emulate the Public Sector in this respect. 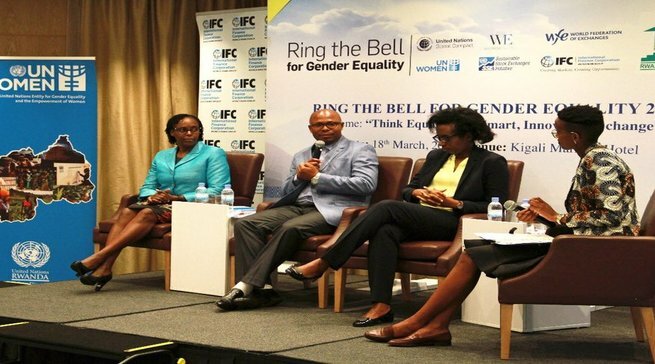 This comes as the Bell at the Rwanda Stock Exchange was on Monday rang in honor of Gender Equality. Officials at the Rwanda Stock Exchange explained the significance of ringing the bell for this cause. Also present were officials from the Gender Monitoring Office and they emphasized the importance of Gender Equality in all aspects of society and sectors. Only 4% of the World's CEOs are women, just 12% of all Board Members in leading Institutions globally are female. 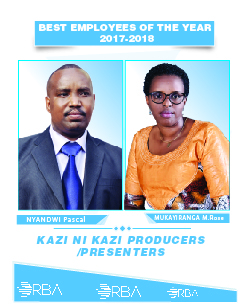 The Promotion of Gender Equality in Global Markets has been seen as Paramount to development, hence the reason the drive is also in full swing here in Rwanda.